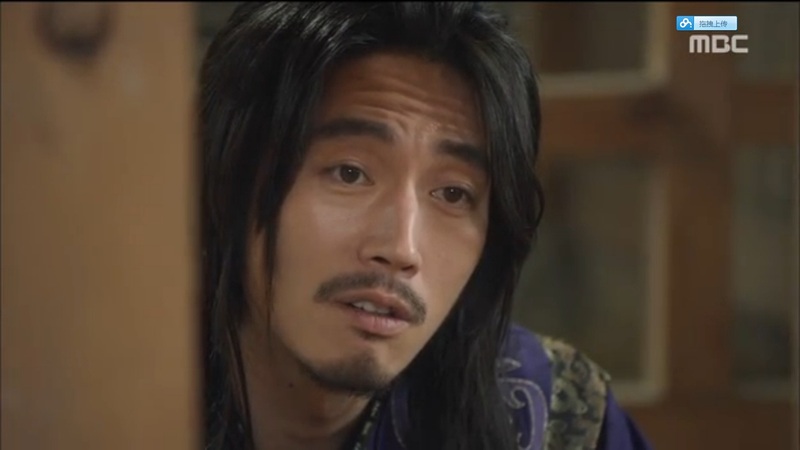 This is not a drama review, but more like an appreciation post for Shine or Go Crazy. This means, I won’t post a review of this drama. I wanted to post one but it’s been so long since the drama ended and I think my review won’t do any good since so many drama bloggers have posted theirs. So I came up with this idea, an appreciation post! Episode 19 touched my heart, especially that one scene where Shin Yool and Wang So were locked together in a jail and they had a deep conversation. I found the scene so touching and beautiful so I decided to write about that scene. The scene started off with the two leads sat, facing each other and Shin Yool started the conversation. Shin Yool: I’m sorry, that I tied you up back then. Shin Yool: I’m sorry, that I made you help me. Shin Yool: I’m sorry, for coming back and find you when you told me to forget you. It’s all my fault. Wang So: *shakes his head* No. No. I’m sorry that I couldn’t recognize you at Byuklando. I was clearly lacking my senses. Shin Yool: *smiling while holding back her tears* It’s okay. Wang So: I’m also sorry for mistaking you as a man. Wang So: I’m sorry, that I couldn’t protect you and that I put you here. Today, I couldn’t protect anyone. Not you, not my brother. 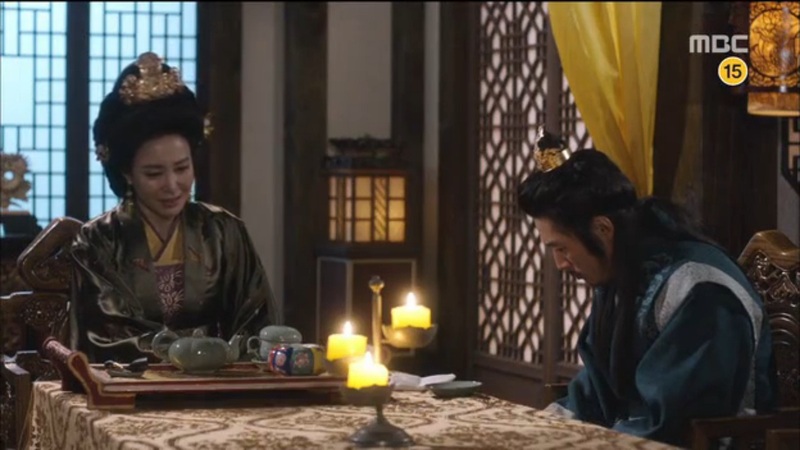 Wang So: Gaebong-ah, I could do nothing in this palace. I had no power, and the fact that I couldn’t protect anyone breaks my heart. That pains me. That’s why…. I’ll leave this place. No mater what, I’m going to leave here with you. So don’t worry. I cried watching this scene. I liked that Wang So answered “It’s okay, It’s okay”. It showed how much he loved Shin Yool aka Gaebong. It showed how sincere he was. I’m not good in explaining, but this scene was seriously beautifully taken and beautifully acted out. The dialogue was also beautiful. 10 out of 10! Besides ep 19, there were many episodes that i also liked. For example, ep 12. It was when Wang So’s mother came to his residence after she knew the truth about Wang So. The conversation was also had deep meaning. 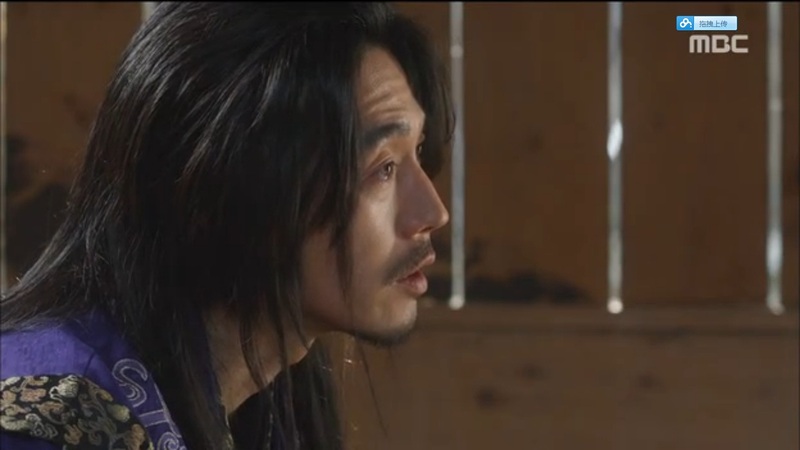 Jang Hyuk‘s acting in this scene was sooooo good and made me shed tears. So she kidnapped Gaebong and threaten her. Her image from the prev 15 eps that’s poor, unloved, fragile scattered in just seconds. Alright, this is the end of this appreciation post. I’m really not good in explaining and describing. I tried my best though! And for those who want to download the complete OST of this drama, you can click > here < The songs are so beautiful and really easy to listen to. for OST i give 10 out of 10!